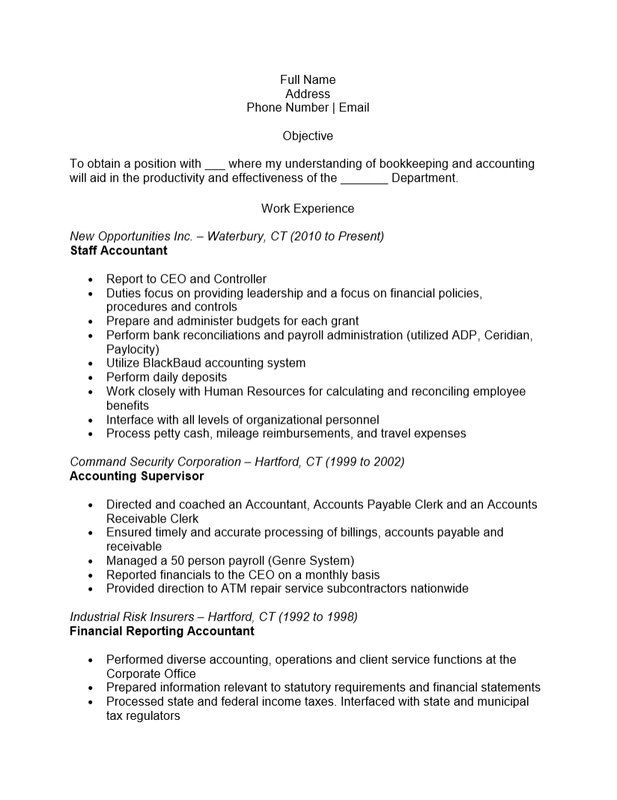 The Staff Accountant Resume Template is a reusable form which provides the structure necessary to compose a quality resume. Staff accountants can be found in the accounting department of nearly every company and in accounting firms. They carry the responsibilities assigned to an accounting department and their duties will vary from company to company based on the number of people working in their office as well as its structure. Responsibilities for this position will range from profit and loss assessment to filing their company’s taxes. The heart of many company’s financial management starts with its accounting department. 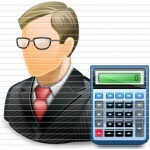 This makes staff accountants nearly invaluable. It may seem as if job seekers in this field could have their pick of positions but with the staunch competition present in today’s market, this statement only applies to job seekers who present fantastically on paper. After all, one must score an in-person interview to even be in the running for a choice position. This may be accomplished through a well written resume that presents an applicant’s abilities, knowledge, and credentials in a clear and favorable manner. Such a document may be created by filling out this resume form then keeping a blank copy to be used as a template in the event future revisions may be necessary. Step 1. Input your full name on the first line and your contact information (street address, phone number, professional email) on the following lines. Step 2. The “Objective” Section is the first section and will be where you introduce your goals to the potential employer. Make this one to three brief sentences. Step 3. The “Work Experience” section should contain a wealth of information regarding your employment history. This should be a list of your previous employers organized in reverse chronological order. Each entry should begin with the name of the company you worked for, its location, and the time period you were employed. The next line should contain your job title. This should be followed by a list of duties and/or achievements. Step 4. The “Education” section is a list of the degrees you have earned. This should be the official title of the degree, the name of the school, and the city and state where it is located.